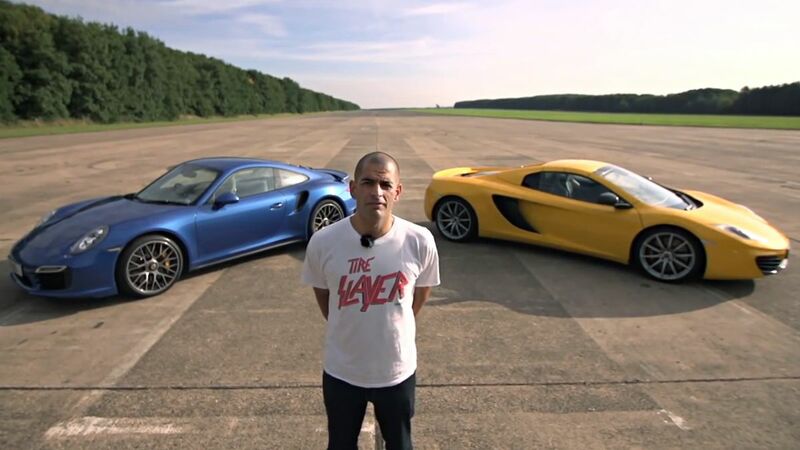 Youtube motoring sensation and motoring journalist Chris Harris is set to joint he cast of Chris Evans’ new Top Gear outing, according to an article published today in the Sun. We regularly feature Harris’ excellent videos on RMS, and he was seen in a feature with Tiff Needell on Discovery’s 5th Gear last year, however it seems the ex-Evo writer may have hit the big leagues if the story proves true. Along with Ginger and Monkey we can apparently expect to see Sabine Schmitz of Nürburgring transit fame, and Formula 1 pundit and ex-driver David Coulthard on our screens. It will be well into 2016 before we find out exactly who will be in their new BBC TV motoring jobs, however if this is the new lineup they will have a long way to match the chemistry of Clarkson, Hammond and May. Their new Amazon motoring show is due to air in late 2016, with no title yet confirmed. That's good news IMO, i think Chris is a fantastic journalist - looking forward to it! When is it scheduled to be aired? I think that'll make for quite a good line up. Top Gear may well end up a real motoring show again without the BS. Don't get me wrong, clarkson & co were and will be great to watch but I'd expect this to be every bit as good for different reasons! | That's good news IMO, i think Chris is a fantastic journalist - looking forward to it! When is it scheduled to be aired? I like the direction they're going. Trying to have another 3 presenters with the same kind of chemistry as the original trio will never work, that was a naturally occurring thing and can't be replicated. And even if it could be, it would invoke too many comparisons to the original. Seems they're going for a different approach this time in terms of the personalities involved. 'Personality' is not a quality I would associate with Chris Harris. Factually decent journalist no doubt but I do find him a little tedious. Perhaps I'm not enough of a car beard to get him though. Depends what you're looking for in a review tbh, it's all very subjective. I wasn't a massive TG fan as I found some of the more farcical slapstick stuff OTT and distracting. I quite like how Harris is very knowledgeable about the mechanics and science behind some of the cars he reviews, but is also happy to act a loon and drift all day long. He's a fairly capable driver too. | 'Personality' is not a quality I would associate with Chris Harris. Factually decent journalist no doubt but I do find him a little tedious. Perhaps I'm not enough of a car beard to get him though. Same as that ^^^^ Can't stand him. I can't stand Evens, although I like that he's a proper car nut his personality just doesn't do it for me, it's like he's always trying too hard. Harris left to his own devices would get boring quite quickly because whilst being quite capable of acting the t!t when he wants, he generally doesn't bother the whole light comedy thing. It'll be interesting to watch the two compound, It'll be a matter of striking a balance between nerdy beardy stuff to keep the petrolheads happy and light entertainment for the uninterested masses. Personally I think top gear was catering for the latter too much in recent years.